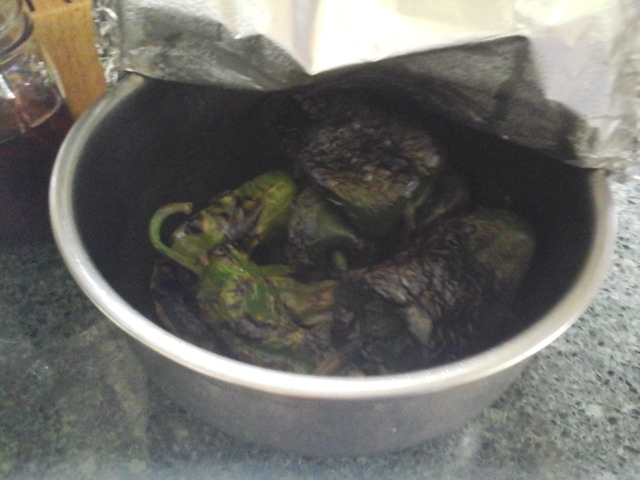 Yes, Virginia, green chiles DO grow in New Hampshire. 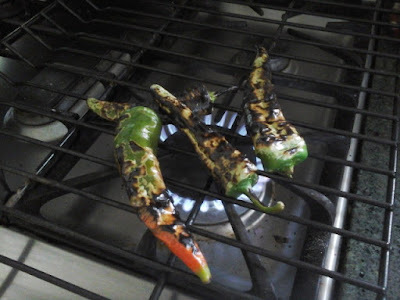 Here are some being roasted on my stove top (we dont have an outdoor grill) I took an oven rack and laid it over the burner and roasted a few at a time, turning them with metal tongs. It was a slow process, but oh, did they smell wonderful! 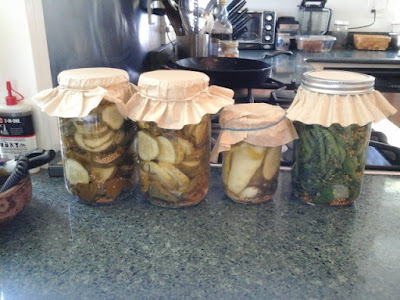 Here are several jars of pickles fermenting. I just fill a jar when I have enough cucumbers. The last one is a jar of dilly green beans., just started today. The cukes usually take 3-4 days to reach a good flavor. The nice thing about these ferments is that the nutritional value is high, they are full of probiotics, and they will store for months with no refrigeration needed. And did I mention they are super tasty? Deb, that Green Chile with your fresh eggs would make for unbelievable breakfast burritos! Good to see that you took some of NM with you.